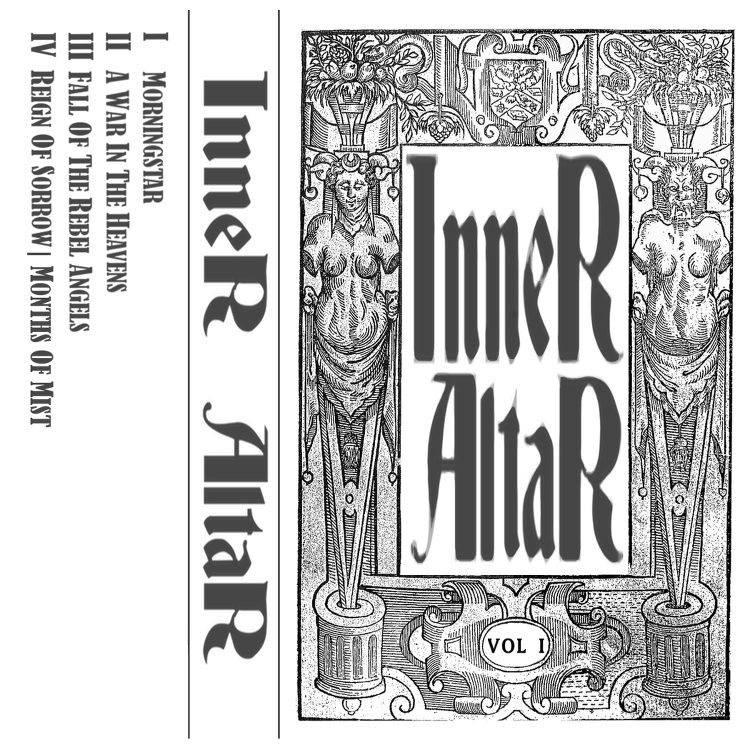 Missouri-based Inner Altar have set their sights high for their first release, using the story of Lucifer's war against Heaven and subsequent fall for the four-track EP that heralds their arrival. Each track is numbered like the chapters of an old book, going very nicely with the wood-cut cover art, and also fitting with the band's old-school doom dynamic. The balance struck between heaviness and thrashy intensity leads to some swift change-ups and a healthy variety across the EP, and the band calls up enough grandeur to fit with their chosen subject matter. The vocals put me in mind of Jim Morrison's more gothic material somewhat, while everyone on instruments does a great job of hitting the sweet spot between '80s heavy metal and the more serious strain of doom. 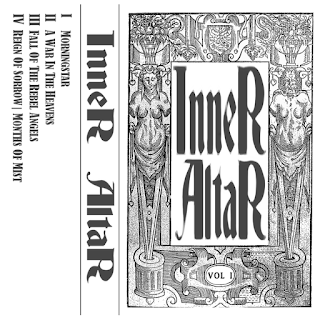 Very solid stuff, which will be getting a release on cassette today courtesy of Ritual Knife Records, so snap that up or get a digital version if you've been hungering for some glorious gloom.